(Nanowerk News) The film "Avatar" isn't the only 3-D blockbuster making a splash this winter. A team of scientists from Houston's Texas Medical Center this week unveiled a new technique for growing 3-D cell cultures, a technological leap from the flat petri dish that could save millions of dollars in drug-testing costs. The research is reported in Nature Nanotechnology. The 3-D technique is easy enough for most labs to set up immediately. 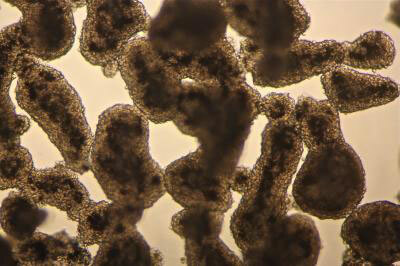 It uses magnetic forces to levitate cells while they divide and grow. Compared with cell cultures grown on flat surfaces, the 3-D cell cultures tend to form tissues that more closely resemble those inside the body. "There's a big push right now to find ways to grow cells in 3-D because the body is 3-D, and cultures that more closely resemble native tissue are expected to provide better results for preclinical drug tests," said study co-author Tom Killian, associate professor of physics at Rice. "If you could improve the accuracy of early drug screenings by just 10 percent, it's estimated you could save as much as $100 million per drug." For cancer research, the "invisible scaffold" created by the magnetic field goes beyond its potential for producing cell cultures that are more reminiscent of real tumors, which itself would be an important advance, said co-author Wadih Arap, professor in the David H. Koch Center at The University of Texas M.D. Anderson Cancer Center. To make cells levitate, the research team modified a combination of gold nanoparticles and engineered viral particles called "phage" that was developed in the lab of Arap and Renata Pasqualini, also of the Koch Center. This targeted "nanoshuttle" can deliver payloads to specific organs or tissues. "A logical next step for us will be to use this additional magnetic property in targeted ways to explore possible applications in the imaging and treatment of tumors," Arap said. The 3-D modeling raises another interesting long-term possibility. "This is a step toward building better models of organs in the lab," Pasqualini said. The new technique is an example of the innovation that can result when experts come together from disparate fields. Killian studies ultracold atoms and uses finely tuned magnetic fields to manipulate them. He had been working with Rice bioengineer Robert Raphael for several years on methods to use magnetic fields to manipulate cells. So when Killian's friend Glauco Souza, then an Odyssey Scholar studying with Arap and Pasqualini, mentioned one day that he was developing a gel that could load cancer cells with magnetic nanoparticles, it led to a new idea. "We wondered if we might be able to use magnetic fields to manipulate the cells after my gels put magnetic nanoparticles into them," said Souza, who left M.D. Anderson in 2009 to co-found Nano3D Biosciences (www.n3dbio.com), a startup that subsequently licensed the technology from Rice and M.D. Anderson. The nanoparticles in this case are tiny bits of iron oxide. These are added to a gel that contains phage. When cells are added to the gel, the phage causes the particles to be absorbed into cells over a few hours. The gel is then washed away, and the nanoparticle-loaded cells are placed in a petri dish filled with a liquid that promotes cell growth and division. In the new study, the researchers showed that by placing a coin-sized magnet atop the dish's lid, they could lift the cells off the bottom of the dish, concentrate them and allow them to grow and divide while they were suspended in the liquid. A key experiment was performed in collaboration with Jennifer Molina, a graduate student in the laboratory of Maria-Magdalena Georgescu, an M.D. Anderson associate professor in neuro-oncology and also a co-author, in which the technique was used on brain tumor cells called glioblastomas. The results showed that cells grown in the 3-D medium produced proteins that were similar to those produced by gliobastoma tumors in mice, while cells grown in 2-D did not show this similarity. Souza said that Nano3D Biosciences is conducting additional tests to compare how the new method stacks up against existing methods of growing 3-D cell cultures. He said he is hopeful that it will provide results that are just as good, if not better, than longstanding techniques that use 3-D scaffolds. Raphael, a paper co-author, associate professor in bioengineering and a member of Rice's BioScience Research Collaborative, said, "The beauty of this method is that it allows natural cell-cell interactions to drive assembly of 3-D microtissue structures. The method is fairly simple and should be a good point of entry in 3-D cell culturing for any lab that's interested in drug discovery, stem cell biology, regenerative medicine or biotechnology."